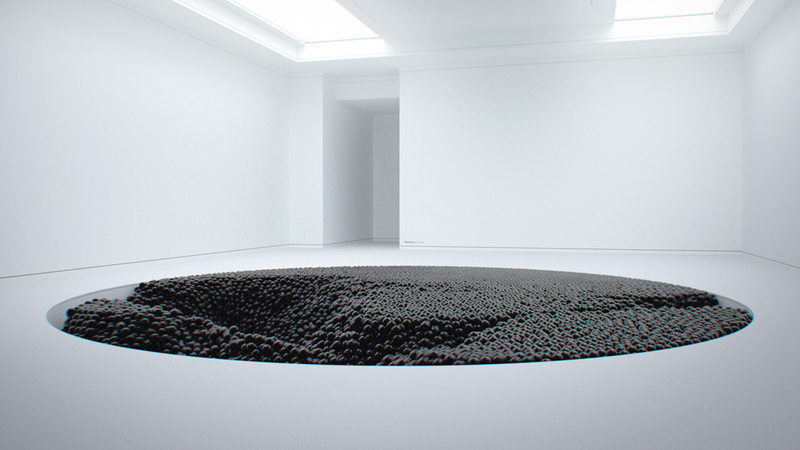 The laws of physics are negotiable in Maxim Zhestkov’s films. 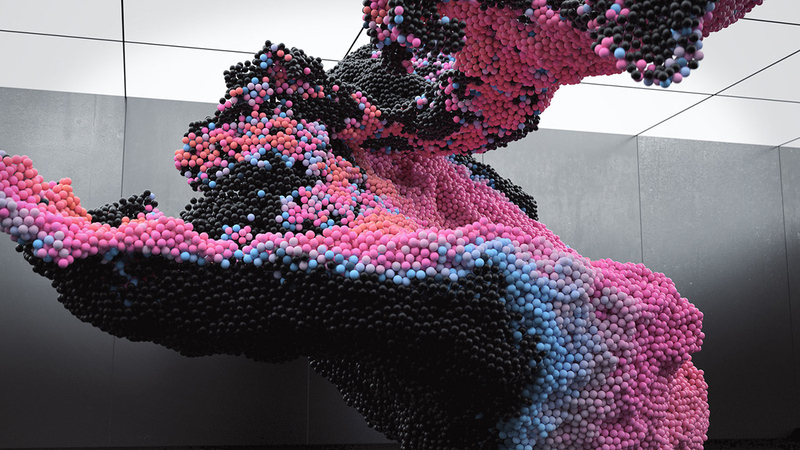 Abstract masses of objects swirl, erupt, and explode within muted architectural scenes, creating a start contrast between unfathomable digital immateriality and the familiar way matter behaves in the real world. Both mesmerizing and seductive, his forms illustrate the poetic potential of simulation while echoing some of nature’s most known and revered phenomena. 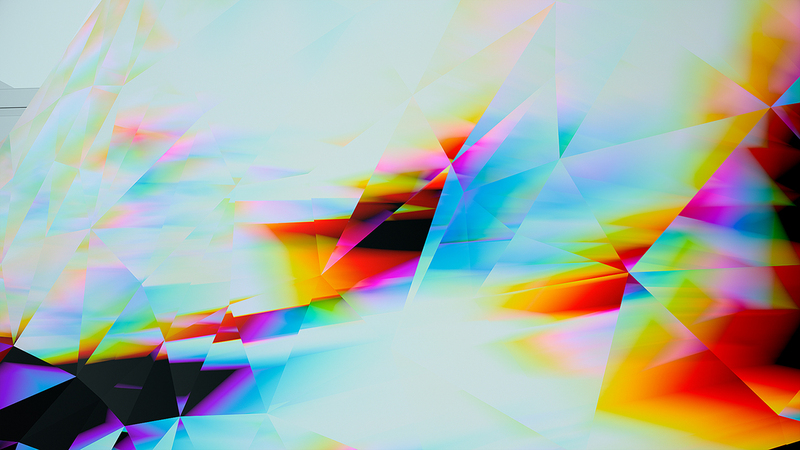 Today Maxim releases his new film Optics on Sedition. 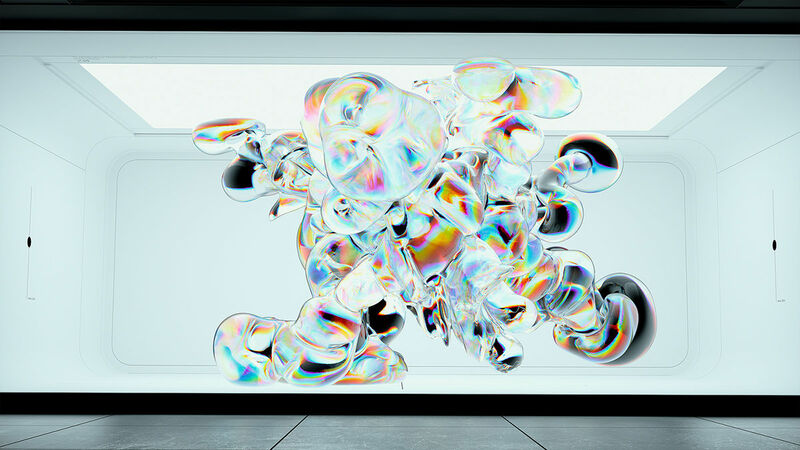 Perhaps best described as ‘a love letter to light’ it explores the reflection (and refraction) of light as it beams through amorphous liquid forms. Uncanny digital forms move and metamorphose across your works. One moment they are subject to the gravity and physics we know from ‘the real world’ and the next, how they move seems impossible—alien, even. How do you determine how matter moves in your animations? Maxim Zhestkov: I like to perceive my work as scientific research. A certain physical phenomenon is taken as a basis, and only time will show how far it is possible to expand knowledge. The scientific approach, with its unbiased clarity, gives surprising results if you look at them from an unusual perspective. I can see the clinical approach; there are many ‘water like’ movements (rippling, vortexes, waves) in your films and projects, and other forces look almost tectonic. What kind of natural (or unnatural) processes are you simulating when you animate your CG forms? MZ: In a sense, nature and physics are the driving forces for our studio and in my work. It seems to me that there is nothing more truthful than the language of nature. Music is a universal language, but nature and its behaviour are even more universal. Children learn to understand how gravity works from the first months of their lives. Nature is around and inside us. We are the nature that has known itself. One might read your new work Optics as a love letter to light. Reflections ripple and specular reflections shimmer in a gelatinous, transparent volume—and the results are mesmerizing. Please explain the aesthetic goals and the technical challenges within this project. MZ: Quite right. We can see only light—it is reflected, refracted, changes its saturation and our receptors perceive it. We were interested in delving into the process of studying light as the main character in our new art film. With photorealism, It is so surprising that computer graphics have come so close to reality—at the same time, tools have appeared that make it possible to alter the conditions we are used to. In reality, everything is certain and understandable. Optics says ‘this is glass and how it breaks light’ and ‘this is water and how it refracts the rays’; and ‘what if you constantly change the index of refraction in an object?’ How will the image change? What distortions do we then see? In the world of code and computer graphics, we can verify these curiosities. I would say that this is a science: you create different situations and see how they will work. You study and research. Have you learned anything odd or peculiar about light from working with it in CG, that goes beyond what you’ve observed with your naked eye in everyday life? MZ: I think we found an interesting connection between light and light in 3D. They behave very similarly, but some parameters you can achieve in CG are simply impossible in reality. The programmers who coded render engines used mathematical formulas—how surprising is that through formulas and code, it is possible to recreate the principles fundamental to nature? This is an environment where no one tried to foresee all the possibilities, just created a set of tools—an environment—where artists can create things that are impossible in reality. Your amorphous CG forms pulsate in empty spaces; while these rooms are aesthetically white, sterile, and unadorned, they contain define aesthetic queues (skylights evoking James Turrell, Modernist grids, etc.) for the viewer. Could you talk a little about how your background in architecture influences the spaces you create to stage your scenes in? MZ: I like that in animation you completely concentrate on one object. It's like the main character and you can play with them—and they can play a role as well. In this regard, minimalist architecture is extremely convenient as a tool that gives the object (the main character) a stage to stand on—a platform for experiments. I strive for an extremely refined minimalist aesthetic, but I try to keep it in the background. As something tangible, that makes the animation come alive, in a way. Who are your favourite architects? Have you consciously emulated any famous spaces or designers within your projects? MZ: I like to make small references to some of the great ones, though I do not think that viewers necessarily pick up these subtle hints. Speaking generally, Renzo Piano, Santiago Calatrava and Zaha Hadid formed my understanding of forms and architecture. 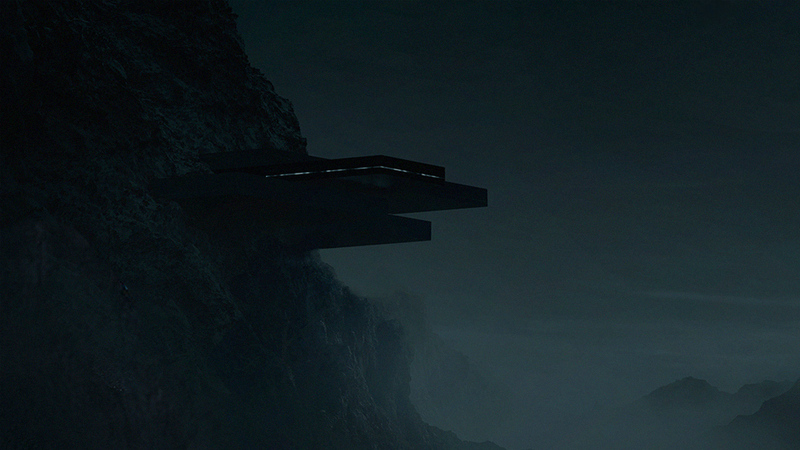 You are on the cusp of formally launching a new studio project: Zhestkov.Studio. What are the goals for this new venture, and how will it change how you work? MZ: Zhestkov.Studio is a studio where I will continue to produce art films, four per year. It's a crazy marathon, but it's an important rhythm for us. With it, we will continue to try to push the boundaries of visual art, blurring the boundaries in interdisciplinary areas. In parallel, we are also launching the commercial department called Ångström, a motion and design studio, where we help brands to acquire a new and unexpected tone of voice, by creating forward-looking visual communication on their behalf.